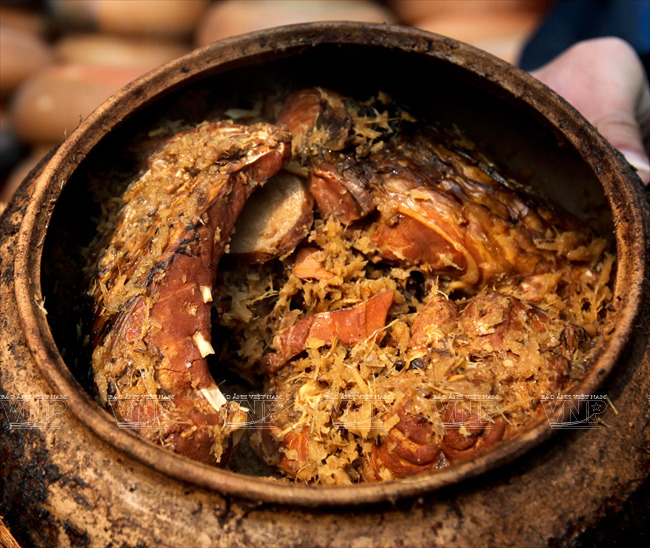 The village of Dai Hoang in the northern province of Ha Nam, 50 kilometres southeast of Hanoi, is renowned for its traditional dish braised fish in earthen pots which is not only much sought after in the domestic market but also by overseas Vietnamese communities in Germany and Russia. 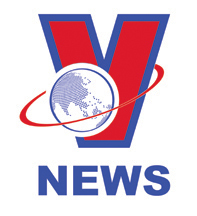 Recently, the unit of Tran Luan in this village was selected by Google as the representative of Vietnam to participate in the “Help Small Business Think Big” programme held in Singapore. Dai Hoang or today Nhan Hau Village in Hoa Hau Commune, Ly Nhan District, Ha Nam Province is better known as Vu Dai Village in the famous literary work by late writer Nam Cao. The village has now become famous nationwide for its braised fish. 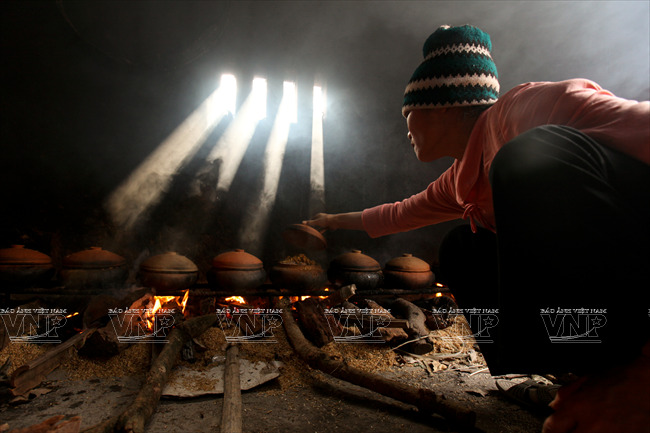 At the end of the year when Tet comes, the villagers are very busy cooking the dish to meet the increasing demand of customers domestically and internationally. The village used to be the poorest in the region as the local soil is unsuitable for farming or raising animals. However, there were a lot of pools for raising fish. With no chicken or beef to make a good meal for Tet, local people decided to create a delicious dish from fish. 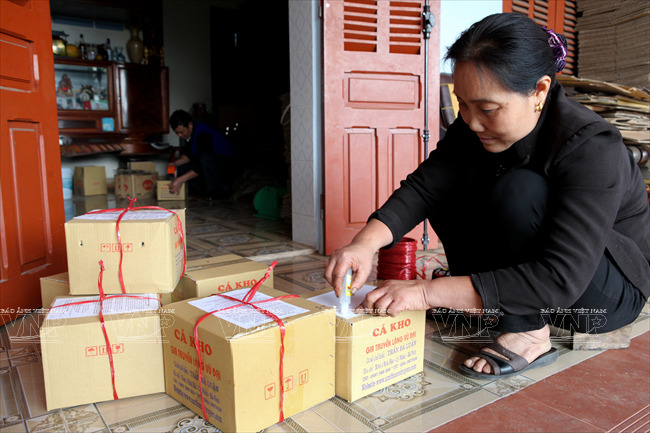 From the 23rd -25th day of every lunar December, villagers caught fish and distributed them to each household to make a special meal for Tet. According to the locals, black grass carp is the best for the dish. Each fish weighs three to four kilograms. The fish is mixed with ground pepper, salt, galangal and ginger until those ingredients are well-blended. 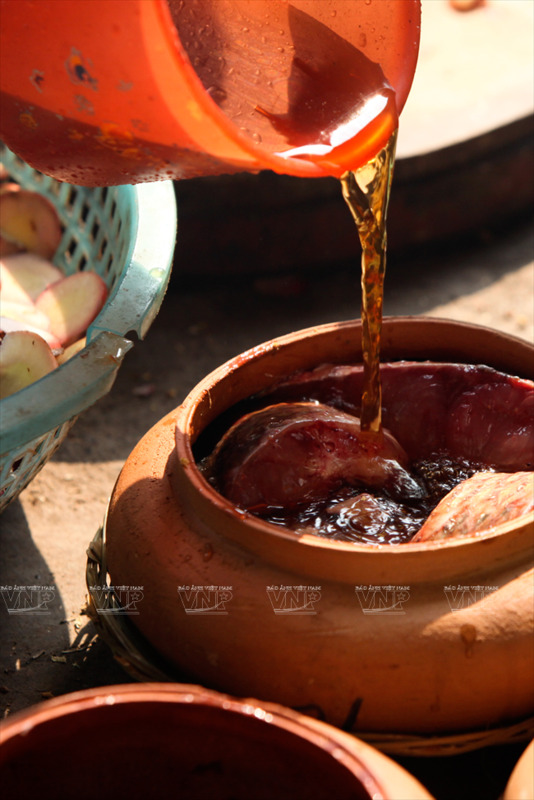 The earthen pots, made by pottery artisans from Thanh Hoa and Nghe An provinces and washed in boiling water, are covered with a layer of ground galangal before pork, ginger, and the fish are put in. To make it tastier and more succulent, lemon juice, fish sauce, and caramel are added. Adjusting the fire to simmer the dish is an important step. It is necessary to add sauce to the dish during the 12-14 hour cooking period so the fish will not be dry and tasteless . 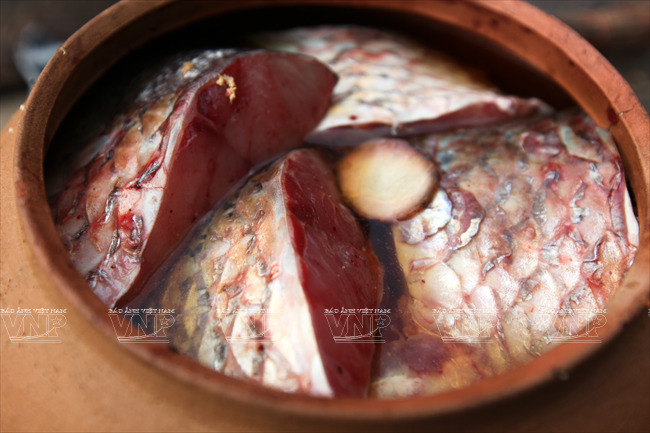 Black carp of 3-4kg is used to make braised fish. Before being cooked, black carp is thoroughly cleaned. The dish has brought fame to the village, becoming very popular across Vietnam. 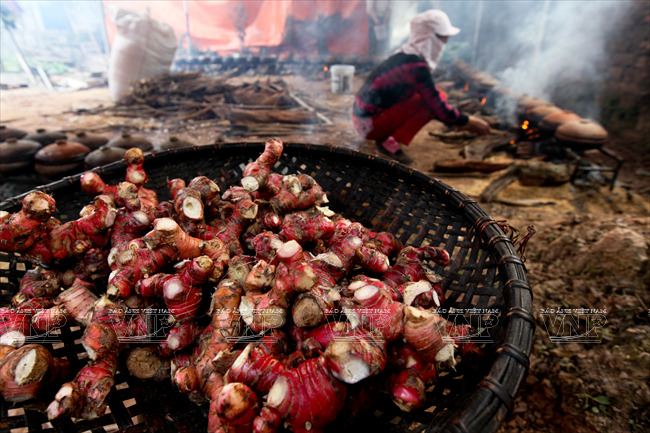 According to Tran Duc Tuyen, Vice Chairman of Hoa Hau Commune People’s Committee, about 30 households in the village are now involved in this trade, each selling at least 20-30 pots each day. Each pot, about 2kg of fish, is sold for 600,000-1,000,000 dong. 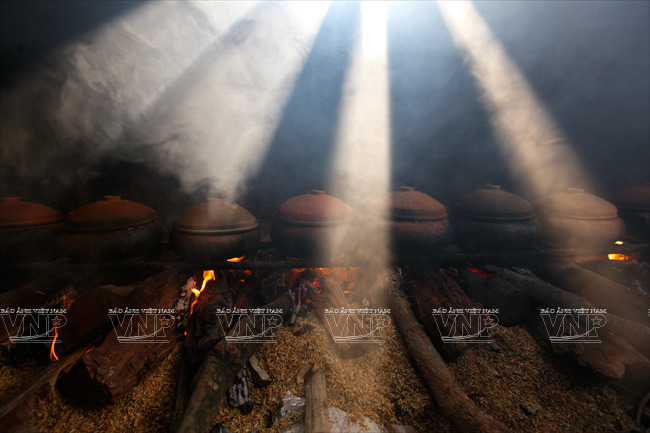 Tran Luan, the owner of a large-scale unit in the village who is the vanguard of a website to promote braised fish in earthen pots made by Dai Hoang, said: “ We created the website to make the dish popular in 2009. It is the initiative of my son who studied IT. 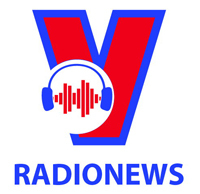 Thanks to the website, the number of customers ordering our dish has considerably increased”. 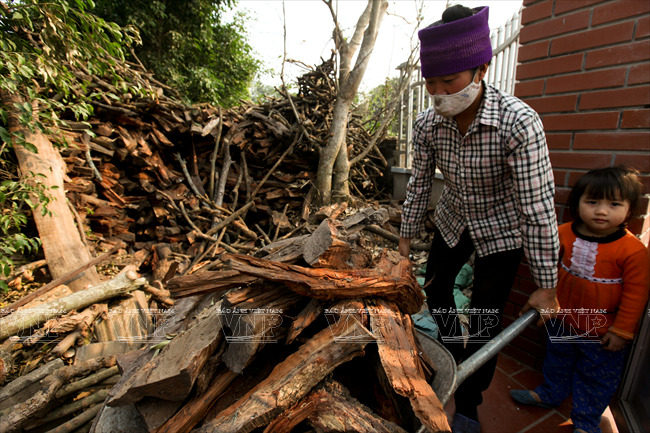 From a poor village, Dai Hoang has now strongly developed and many villagers who previously lived by farming have become well off thanks to the trade. 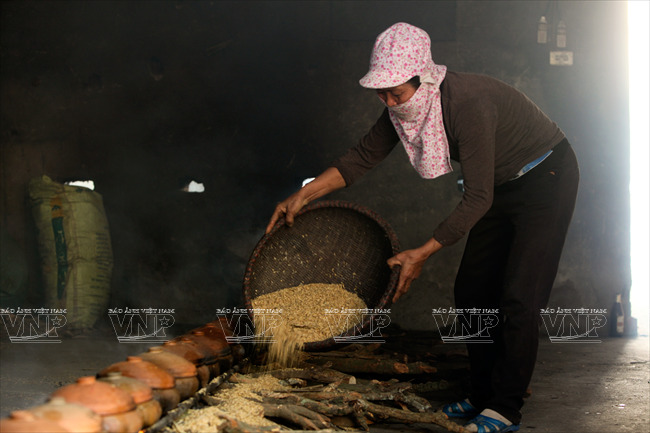 To create a prestigious brand for the dish, the village established the “Dai Hoang Braised Fish Association” on October 28, 2013.